This blog represents concepts and commands which would help you setup development environment to build Angular apps. Create an application that follows best practices recommended by Angular. ng new command is used. Test the app locally as you develop. ng serve is used. 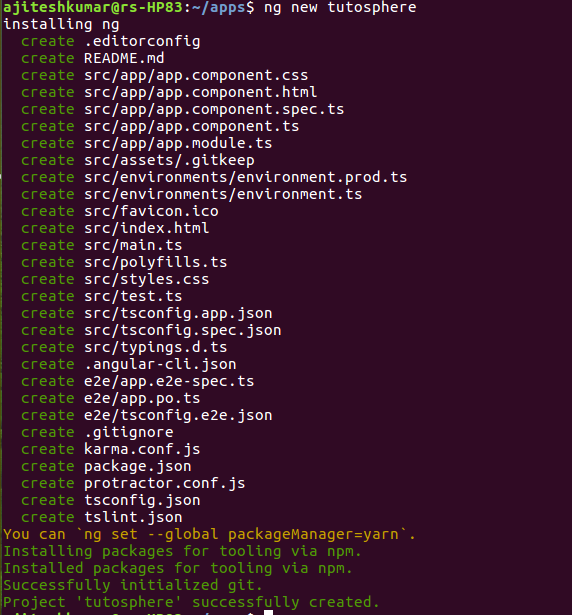 Greater details can be found on this page, Angular CLI. 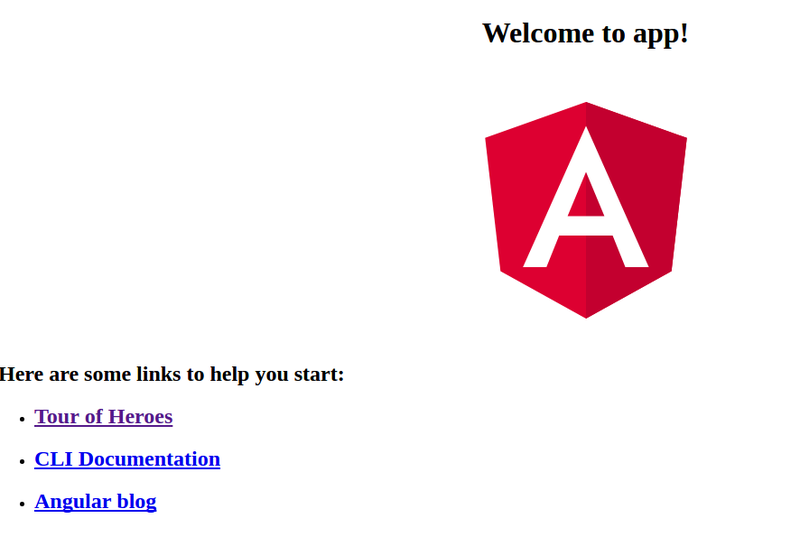 The documentation in relation with Angular CLI can be found on this page, Angular CLI Documentation. sudo is used for administrator privilege. The above command will create an app, namely, tutosphere. Following screenshot represents the command execution. Note that a folder with app name will be created. In present case, a folder with name, tutosphere, will be created. The details such as above and much more can be obtained from my book, Building web apps with Spring 5 and Angular. Grab your ebook today and get started.